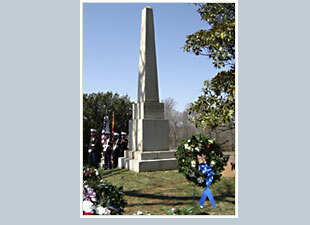 Stone obelisk marking the grave of President James Madison, the nation's fourth president and father of the U.S. Constitution. 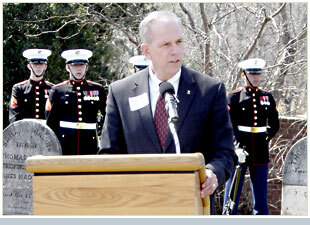 Michael C. Quinn, President, The Montpelier Foundation, welcomed the public to the commemoration of the 255th anniversary of the birth of President James Madison. 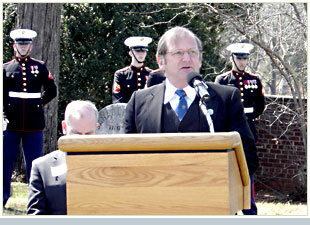 Philip Bigler, Director, The James Madison Center, James Madison University, spoke during the commemoration ceremony held in the Madison Family Cemetery on the grounds of Montpelier. 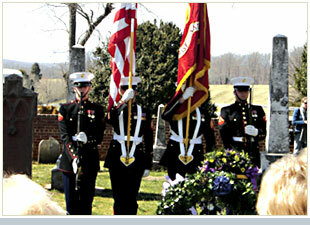 The United States Marine Corps Color Guard present the colors. 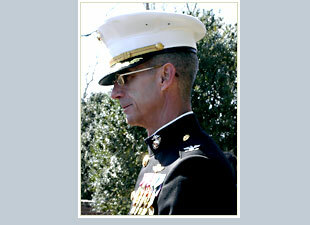 Colonel James M. Lowe, Commander, United States Marine Corps, Quantico, delivered remarks on behalf of President George W. Bush. 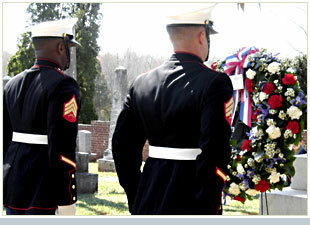 The United States Marine Corps, Quantico, place a wreath at the base of the obelisk marking the grave of James Madison, the nation's fourth president. 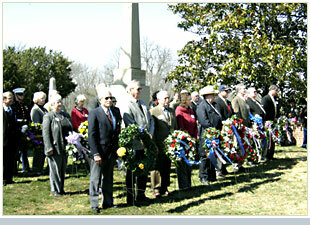 Twenty–two organizations presented wreaths to President James Madison during the ceremony commemorating his birth. 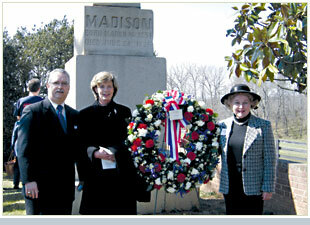 Society of Madison Family Descendants Board of Directors members Honorable Helen Marie Taylor (R) and C. Edward Kube, Jr. (L) along with Bernice Wilson Kube pictured in front of President James Madison's monument in the family cemetery with the wreath from U.S. President George W. Bush. 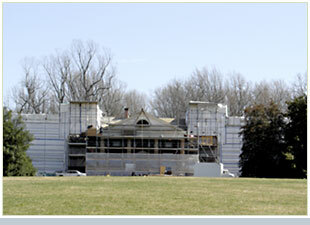 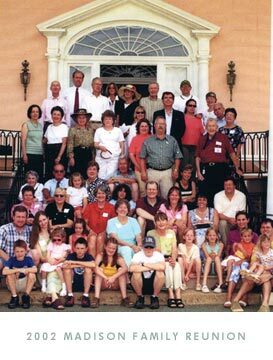 Montpelier renovations as they appeared on March 16, 2006.